VANCOUVER - Two junior hockey players are facing assault charges in connection with an alleged incident at a summer house party in the Vancouver area. Brett Kulak and Jackson Houck of the Vancouver Giants were each charged with assault causing bodily harm on Aug. 18, according to the B.C. court services. Kulak, the Giants' leading scorer, is also charged with uttering threats to cause death or bodily harm. Both players already made their first court appearance Oct. 16. Kulak is set to return to court Nov. 20, while Houck is scheduled to return Feb. 28 to face the allegations against them. Giants owner Ron Toigo released a statement Saturday saying the accusations came out after a house party in Tsawwassen, B.C. "What we can say is that our players are held to a higher standard and, for the most part, live up to that," said Toigo. "This is the first instance that we have had a player have to go to court and that is unfortunate." Kulak and Houck were both on the ice for the Giants' 5-1 win at home to Prince George on Saturday. Kulak scored twice and Houck added a goal in the win. Kulak, a 19-year-old defenceman drafted 105th overall by the Calgary Flames in 2012, has nine goals and 13 assists through 21 games this season. 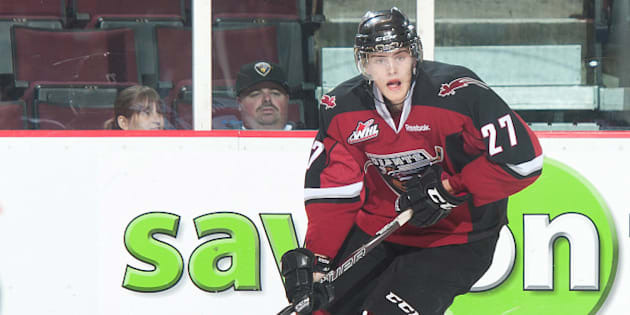 Houck, an 18-year-old right winger taken 94th overall by the Edmonton Oilers in the June draft, has nine goals and six assists in 20 games.